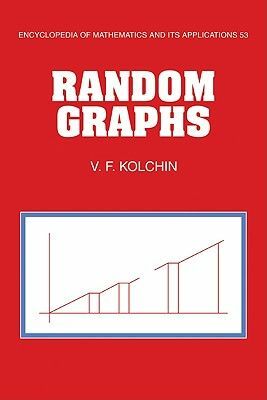 V. F. Kolchin, Kolchin V. F.
The book is devoted to the study of classical combinatorial structures such as random graphs, permutations, and systems of random linear equations in finite fields. The author shows how the application of the generalized scheme of allocation in the study of random graphs and permutations reduces the combinatorial problems to classical problems of probability theory on the summation of independent random variables. He offers recent research by Russian mathematicians, including a discussion of equations containing an unknown permutation, and the first English-language presentation of techniques for solving systems of random linear equations in finite fields. These new results will interest specialists in combinatorics and probability theory and will also be useful to researchers in applied areas of probabilistic combinatorics such as communication theory, cryptology, and mathematical genetics. Author(s): V. F. Kolchin, Kolchin V. F.